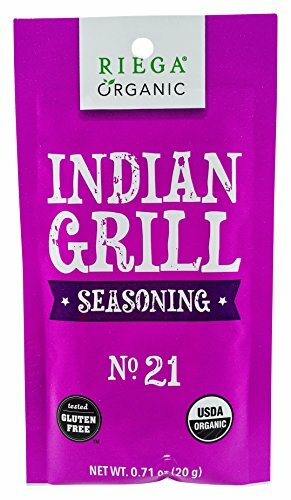 Riega Foods Organic Indian Grill Seasoning contains organic turmeric, sea salt, organic chili blend, organic fennel, organic fenugreek, organic onion, organic garlic, organic coriander, organic black pepper and organic clove. It is QAI Organic certified, Kosher certified, Vegan certified and packaged in a dedicated gluten-free facility. Our products are found in local health food markets, specialty retailers and national grocery chains throughout the United States. Riega Foods Organic seasonings are made without fillers, preservatives or processing aids of any kind. We use only 100% herbs and spices!